Battle of the Copywriters – VIDEO REPLAY! 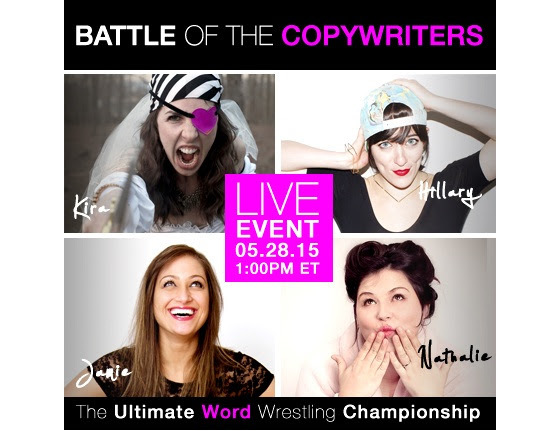 In case you didn’t catch it live: last spring, I wrangled with 3 fab wordsmiths in the epic Battle of the Copywriters. It was a a fight to the death (of bad copy) with some of the most fab and ferocious ink slingers on the block, including Kira Hug (the brains behind all this), Jamie Jensen, and Nathalie Poulin. Click the screengrab below to watch! So come join in on this ferociously friendly competition of wits. You can watch the replay right here.